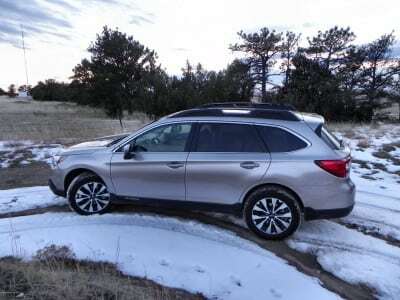 The 2015 Subaru Outback sees a lot of updates for the new model year. Most buyers will immediately note the addition of a lot of interior space and upgrades along with better ergonomics for everyday driving. The Outback is the “grownup’s” Subaru and for 2015, it becomes even more so. The Subaru Outback is a continued favorite in the small-to-medium-sized crossover mix. 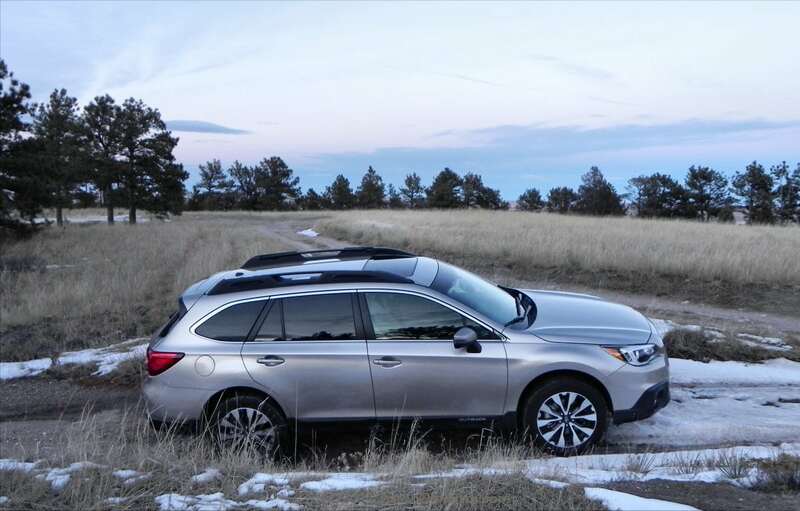 Although not as fun-loving as its brethren in the Suby lineup, the Outback is the grown up’s version of Subaru’s crossovers, offering more refinement and adult-style driving dynamics and comfort. 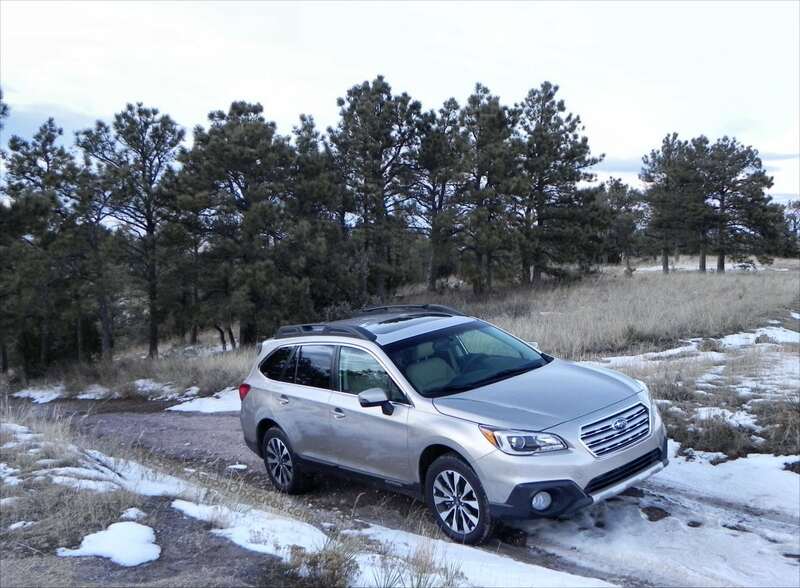 Very much like the Legacy, the Outback speaks to a more demanding crowd of automotive buyer. 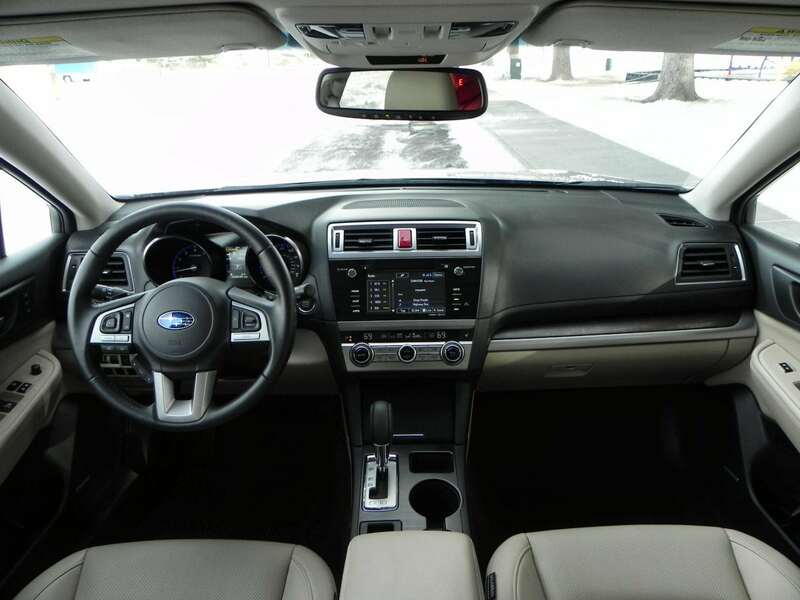 In fact, the 2015 Outback can be seen as the bigger station wagon version of the beautiful 2015 Legacy. This is a good thing. This new Outback was introduced in New York last year and immediately caught the press’ attention as it appeared to have remedied most of the complaints to be had about the 2014 Subaru Outback. Our chief complaints were a tough steering dynamic and fuel economy. Others complained about the lack of interior space and refinement, which were also a legitimate concern. All of those have been fixed for 2015. Most of the exterior updates to the Outback are subtle. The accent lines are a little more prominent, the rear hatch is a little more square, and the front fascia has more shape. These all add up to a good-looking car that falls in line with Subaru’s new design strategy, showcased on the new Legacy as well. It’s a more sophisticated look that adds in some contemporary elements to become less blocky and more on par with the competition; without blending in too much. 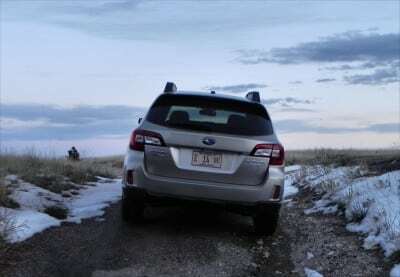 Subaru did a good job here and the new Outback is a real looker. 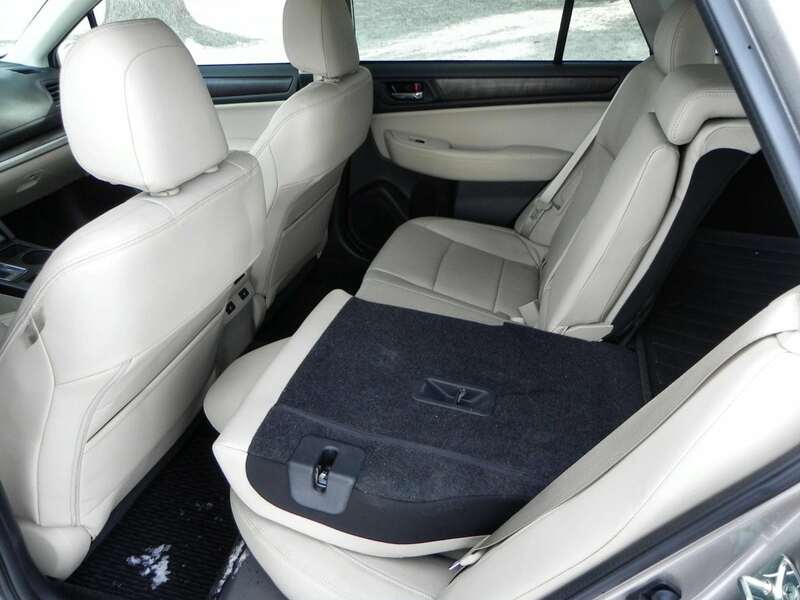 Upon entry into the 2015 Outback, those familiar with the lineup will note that the Outback has seen a lot of work to modify and improve its interior. 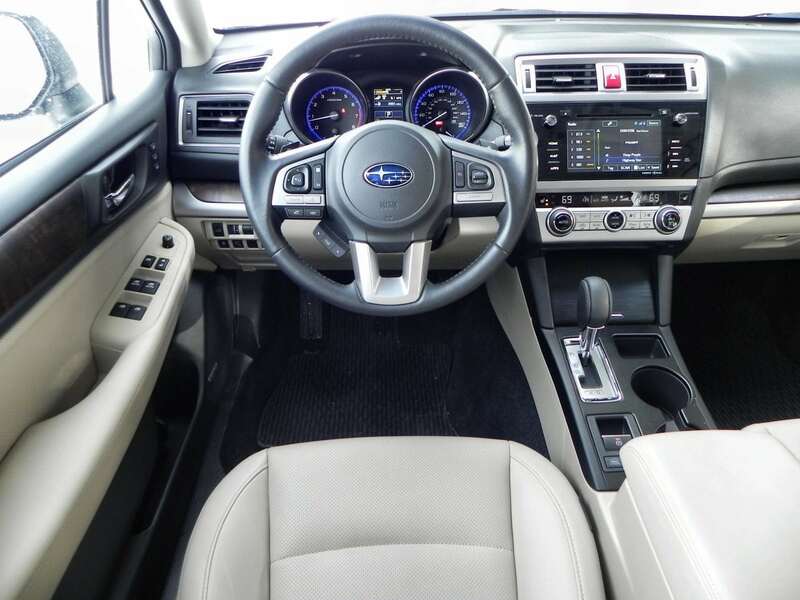 The Outback’s dashboard and driver layout is almost exactly as in the well-done Legacy sedan, pushing the dash forward and slightly upwards to create more leg and knee room while allowing the front seats to move forward somewhat to give more room in the back row. 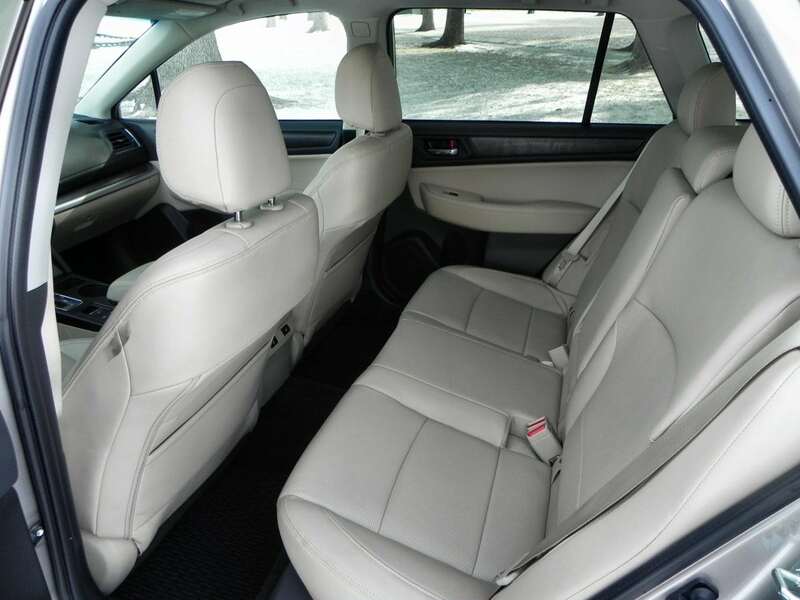 Tall adults, like myself, can sit in both the driver’s seat and directly behind without adjusting to accommodate, a big step forward for the Outback. Overall materials quality has also improved. 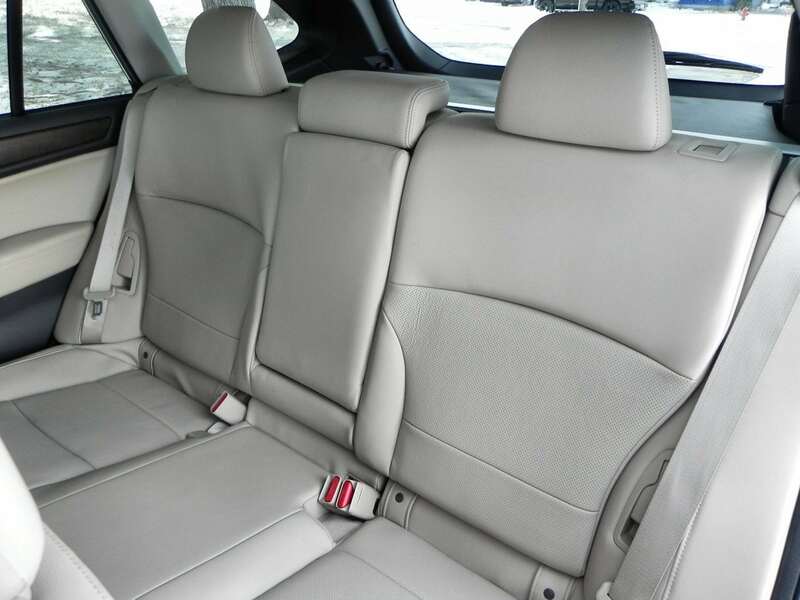 No hint of hard plastic adorns the Outback’s interior, with soft-touch and leatherette being the new focus. This has vastly improved not only the interior experience, but also the sound levels when on the highway. Subaru’s design team deserves plenty of kudos for their work here. Especially given that three adults can now sit shoulder-to-shoulder in the back seat and not feel terribly cramped. 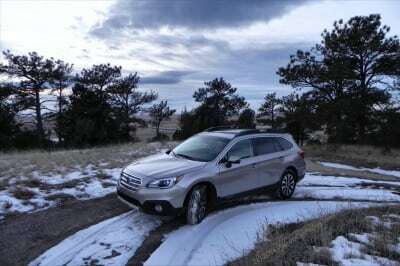 The 2015 Outback has two engine options, a 2.5-liter BOXER four and a 3.6-liter BOXER six. 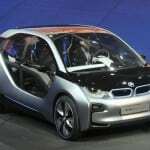 Both run through a continuously variable transmission (CVT or Lineartronic CVT). Subaru has gotten very good at using CVTs in their cars and this edition is no exception. It’s smooth, unobtrusive, and very efficient. It powers Subaru’s signature AWD system well. 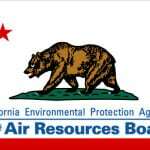 Fuel economy numbers for the Outback are equally impressive. 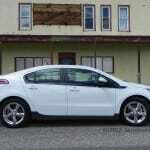 The four-cylinder offers 28 mpg combined (25/33 city/highway) and the six-cylinder has an EPA rating of 22 mpg combined (20/27). This is will full-time all-wheel drive as standard. The 2015 Outback has a generous 8.7 inches of ground clearance as well, making it as capable off the beaten path as it is on it. Perhaps more so. 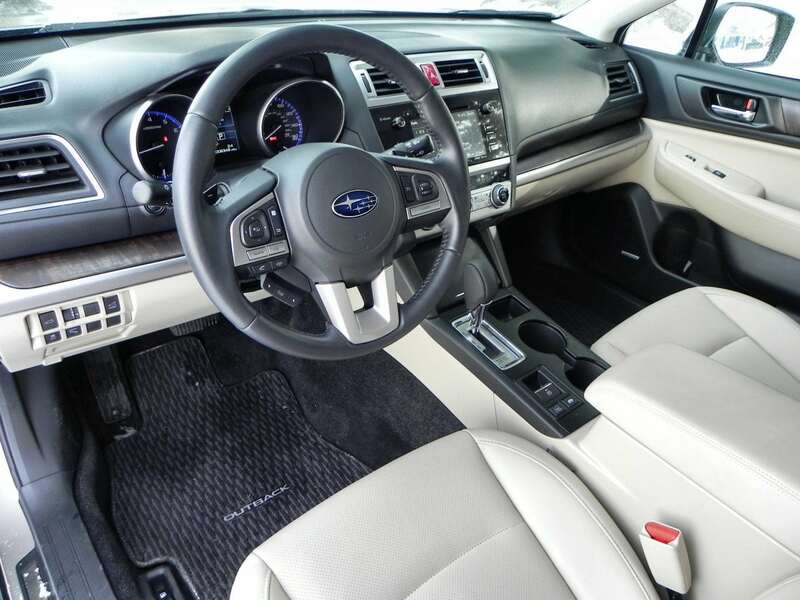 Our test drive was a 2015 Outback 3.6R Premium model in the beautiful new Tungsten Metallic color. Our model included the optional Moonroof and Navigation package with moonroof, adding $2,195 to its base model and trim pricing (reflected above). 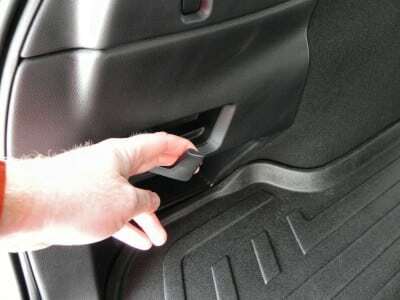 Otherwise, it was a showcase of the excellent Premium trim point. 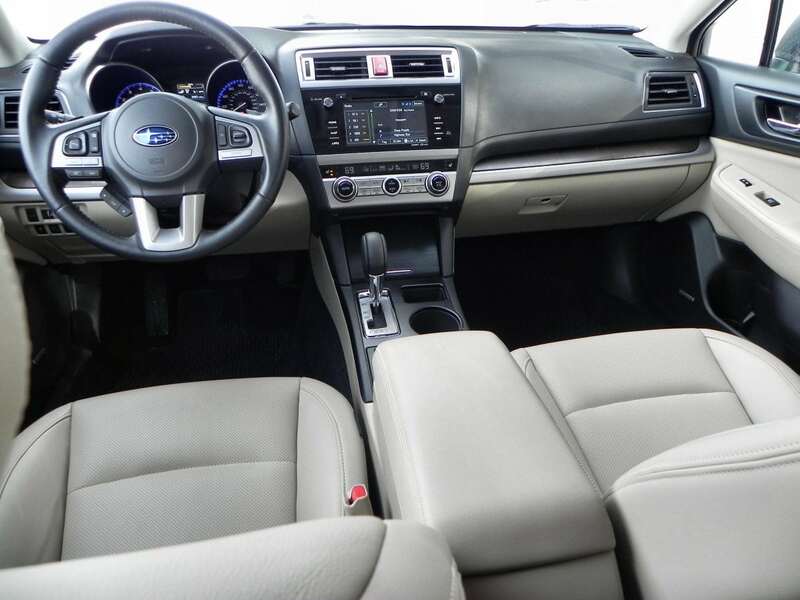 The 2015 Outback is noticeably quieter on the road over last year’s model and the interior improvements detailed above were all welcome. 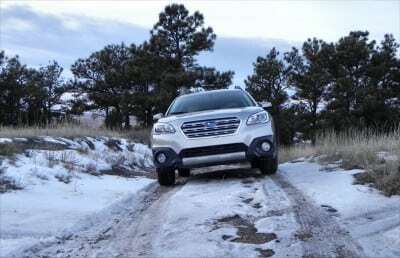 Otherwise, the signature Subaru capability shined through as we went off the pavement for a short jaunt through some icy and slushy dirt paths outside of town. Like all Subuarus, the Outback is, at its core, a “get there” machine. On the road and in daily family use, the 2015 Outback was smooth, comfortable, and showed great ergonomics for getting kids out and about and the other tasks a car like this does daily. The ride on the highway and around town is comfortable and gives an easy confidence to the driver. The stiff steering and occasional suspension lapses over bumps are gone with this upgrade. 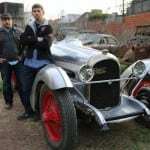 All in all, a very nice vehicle for daily use and weekend getaways. In station wagon-style crossovers, competition is limited. 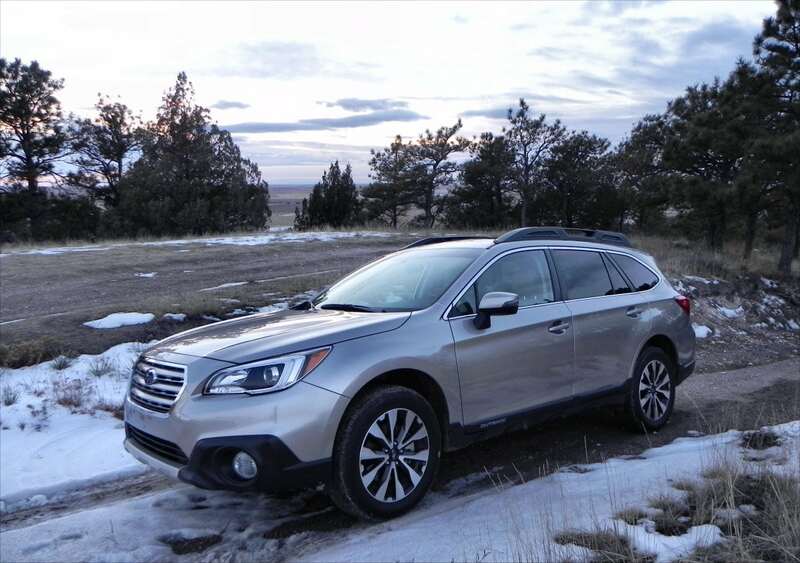 The Outback stands against more expensive competitors like the Audi Allroad and Volve XC70, which are more luxurious offerings than is the Subaru. 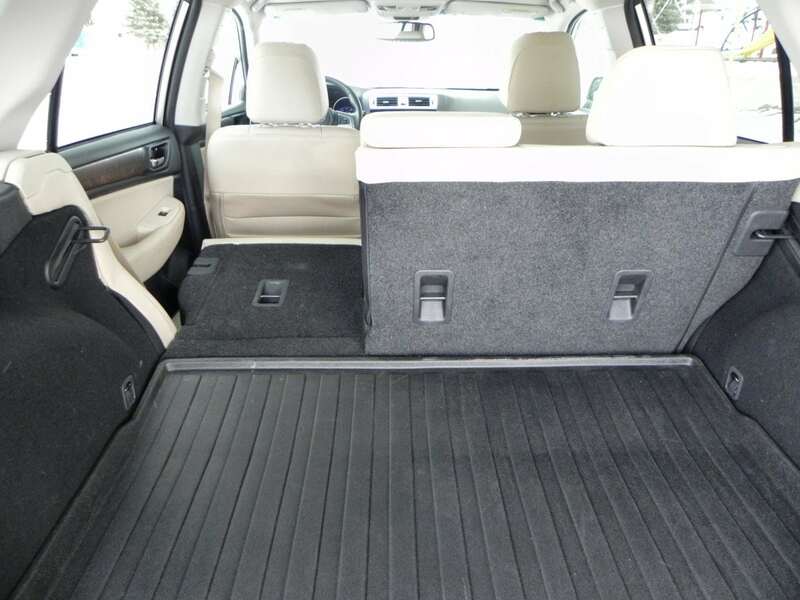 In small and medium-sized crossovers (and those in-between), there are plenty of other options outside of the wagon style, of course. 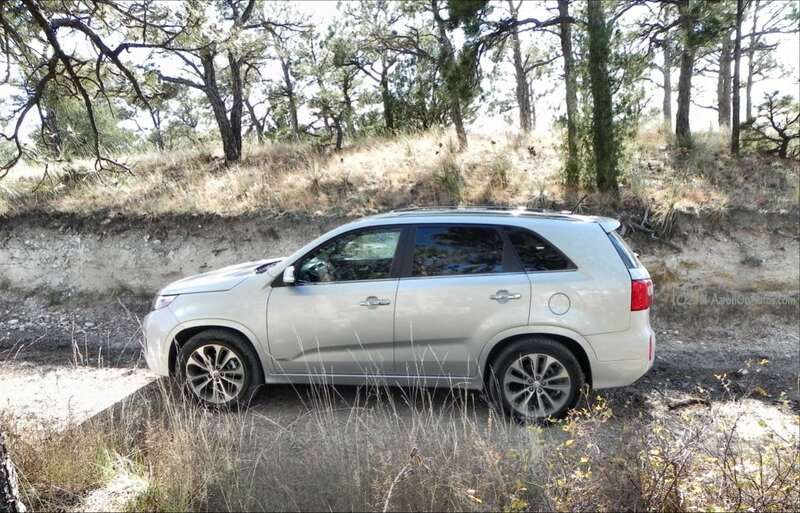 Price-competitive players like the Mitsubishi Outlander or Outlander Sport, Kia Sorento, Jeep Cherokee, Honda CR-V, and even Subaru’s own Forester can be considered. 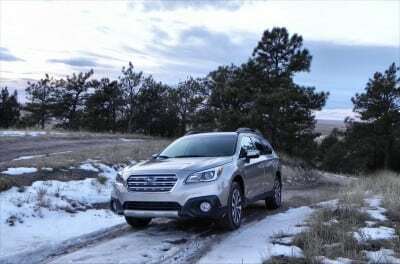 With its upscale refinement, distinctive style, and legendary Subaru capability, though, there won’t be many who would consider those if the Outback is on their short list. Very well-refined inside and out, the new 2015 Outback is a grownup’s car. Excellent family ergonomics and comfort. Missing the “fun” of other Subarus, so buyers used to Imprezas and Foresters might want to try before they buy. 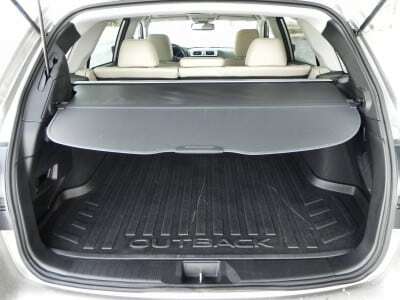 The smaller size of the Outback does come through occasionally, especially when a third row or larger cargo capacity might be required. The 2015 Subaru Outback sees great improvements all the way around. This takes the Outback from being a good contender to becoming a top contender in the market and definitely puts it on the radar of more buyers who’d otherwise scoff at the station wagon styling and its inherent space limitations compared to square-ish crossovers. The 2015 Outback is a solid, nicely refined offering with a good family-use dynamic that retains that signature Subaru “get there” mentality. 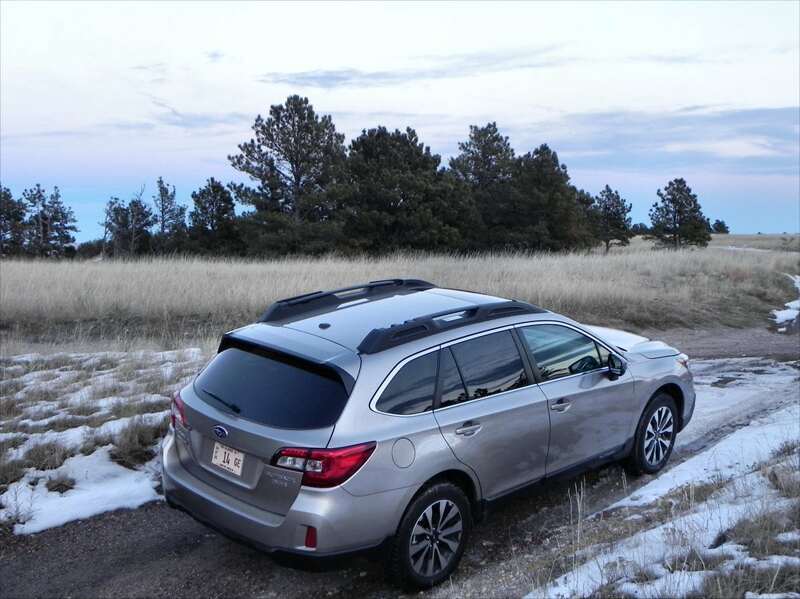 The Subaru Outback was a manufacturer’s press loan for about a week, during which time we put 146 miles on the car in mixed winter and late fall conditions and with various passenger loads ranging from a single driver to up to five occupants of varying ages. Driving mix was primarily in-town and highway.